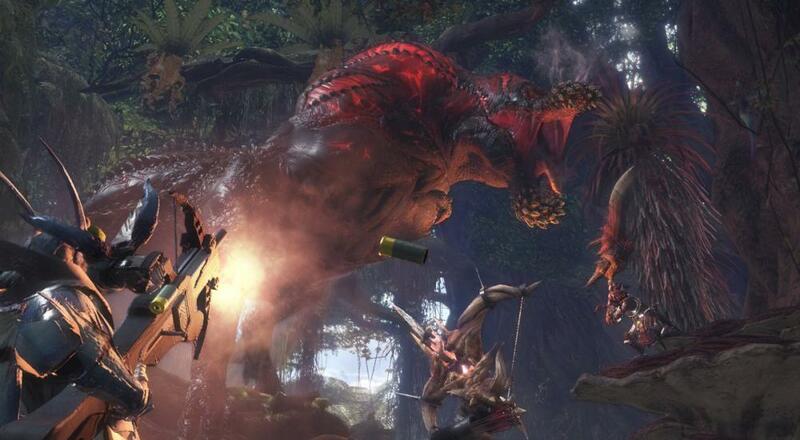 Quite a bit of stuff will be heading to Monster Hunter: World over the next few weeks/months. Capcom held a live stream earlier today to discuss the forthcoming title update that will drop next Thursday, March 22, as well as plans for other content that is in the works. This Friday, March 16, everyone will get a free Character Edit Voucher that can be used one time to edit your Hunter's gender and appearance (you cannot change your Hunter's name, or anything with your Palico). This is a one-time use item and if you use it and want to make more changes, then you'll have to buy a new voucher when they become available to purchase using real world money in the future. There will be a Spring Blossom Festival kicking off on April 5 and running until April 18. During this festival, all previous Events will be available, including those tied around the special gear, and two new Events will be added that will allow players to get the Mega Man gear for their Palico and a special Greatsword that's based off a fan-submitted design. The Mega Man Event will run from April 13 to April 27, and the Greatsword Event will run for the duration of the Festival. Note: The Mega Man, Greatsword, and Ryu armor sets will be available to all players during the Spring Blossom Festival, while the Aloy and Watcher-themed armors from Horizon Zero Dawn will still only be available to PlayStation 4 players. At some point in the future (no dates have been provided just yet), a new Charge Sword will be available via a limited time Event Quest. What's so special about this Charge Sword? Well, it'll be based on the Force Edge and Alastor from Devil May Cry. As with other special gear, players will have to complete the special Event Quest and gather the other necessary materials in order to craft the weapon. You'll also be able to craft Dante's armor set. This Event Quest will be available to all players when it arrives. Monster Hunter: World is available on PlayStation 4 and Xbox One, with a PC release slated for Fall 2018. Four player co-op is supported in most Assigned Quests, Optional Quests, Event Quests, and Investigations (some Investigations limit the player count to just two). Page created in 0.2824 seconds.